Learn how to send Call-to-Action links to Attendees. 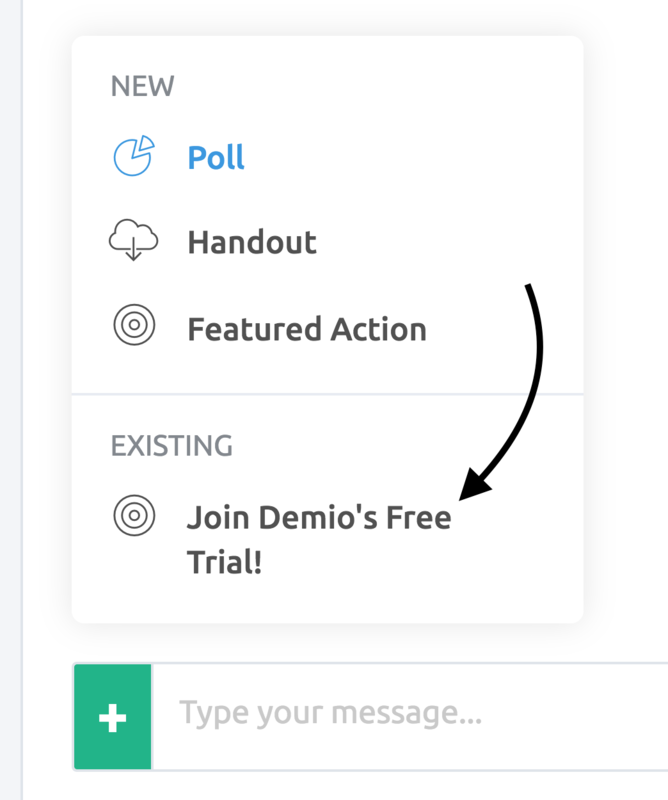 With our Feature Actions, any Hosts/Coordinators can send customized Call-to-Action links directly from their event! When timed correctly, these are great ways to send any Attendees to something or somewhere actionable—maybe to lock in an offer on your own website, or a link to your social media! Doing so will showcase a few options, including the option to set up a Featured Action. You'll be shown the Add Featured Action window, with a few options! Title: this will be the name of your Featured Action—Attendees will see this when it is shared. Once you're Featured Action is set up and you're happy with how every thing looks, you can choose one of two options! Save: this allows you to save your newly created Featured Action to share it later. Saving a Featured Action will add it as an Existing action when you select the plus symbol (+) located near the message box. 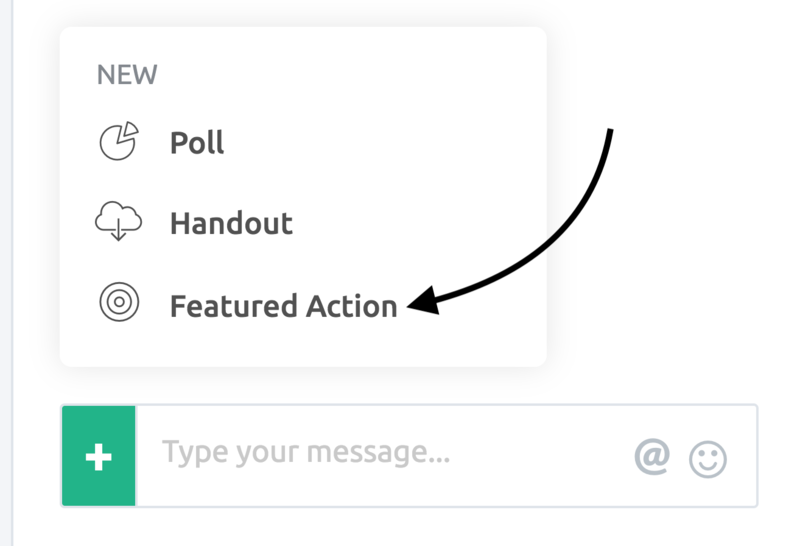 This is a great option for allowing you to create Featured Actions ahead of time. Now that you have the Featured Action set up, it's pretty easy to share! If you've had saved the Featured Action while setting it up, selecting the Featured Action from the Existing Actions will prompt you before sharing it. Once you've shared the Featured Action, it'll appear directly above the chat, with a few options! 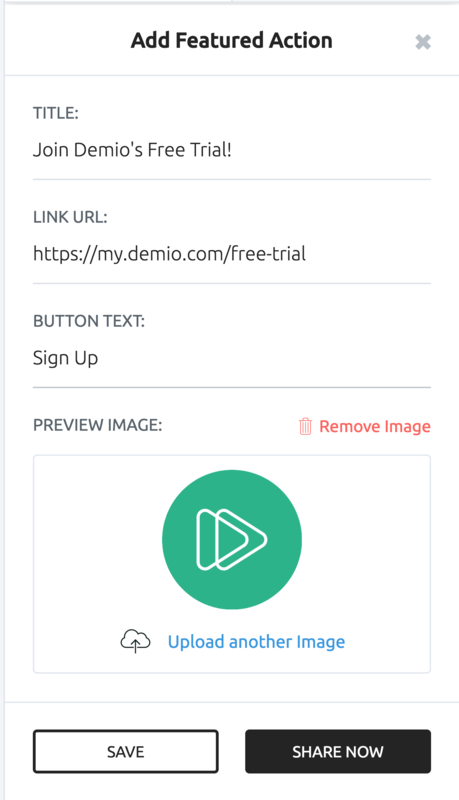 On the pop-up itself, it'll showcase the Title, the Featured Image (if it was included) and the button linking out to your URL. 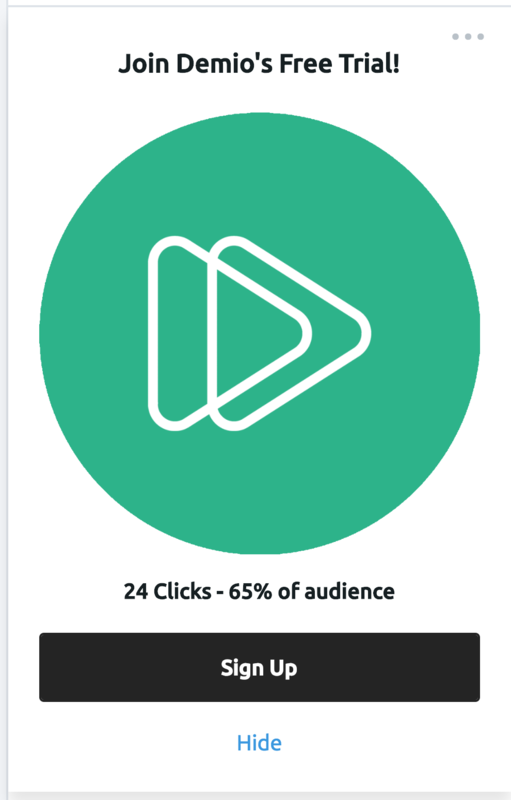 For any Hosts/Coordinators, it will also show the number of times it's been clicked, including the percentage of Attendees that have clicked it. You can also delete a Featured Action after it has been shared. To do so, simply toggle your Poll then select the More Options (three dots) located at the top-right. You'll see the option to Delete Featured Action, which will prompt you then proceed with removing the Featured Action from your event. Just keep in mind that once you delete the Featured Action, you will have to set it up again. Note: Deleting the Featured Action will not remove the Chat Message that was previously added—you may want to remove that message manually as well!